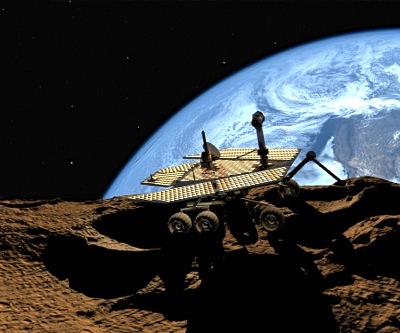 Promising "a telescope for everyone" asteroid mining company Planetary Resources unveiled its campaign for the world’s first crowdfunded space telescope, a 33-day program that aims to put the controls of one of the several satellites with such an instrument into your hands. The company’s technical team, who worked on every recent US Mars lander and rover, will provide direct access to an ARKYD space telescope . “I’ve operated rovers and landers on Mars, and now I can share that incredible experience with everyone. People of any age and background will be able to point the telescope outward to investigate our Solar System, deep space, or join us in our study of near-Earth asteroids,” said Chris Lewicki, Planetary Resources' President and Chief Engineer. For $25, a photo of your choosing will be displayed on the Arkyd's screen, and it will take a picture of itself with the Earth in the background. That doesn't give you any actual control over the Arkyd, but as you get into higher pledges, you will be granted the ability to use the satellite to take a picture of anything you want, in space or on Earth. For more money, you can keep track of that spot, or take a series of photos. You can also donate your time to science and schools. The company said it will use the proceeds to launch the telescope, fund the creation of the public interface, cover the fulfillment costs for all of the products and services listed in the pledge levels, and fund immersive educational curriculum for students everywhere. "Any proceeds raised beyond the goal will allow for more access to classrooms, museums and science centers, and additional use by individual Kickstarter backers," said Lewicki. Detailed information regarding the campaign is available on the Kickstarter website.